Wilsons Paints is a family business that was established in Exmouth in 1990. They quickly became known not just for supplying their quality products but also for their problem solving abilities. Not just a paint Merchant, Wilsons produce some of their own products, the first of these was DEVON WOOD OIL which has been so successful it is now made in bulk. Among their exclusive products is "COACH-KOTE" a clear version of the Coach enamel they supply to the Royal Mews at Buckingham Palace for use on their Royal Coaches. 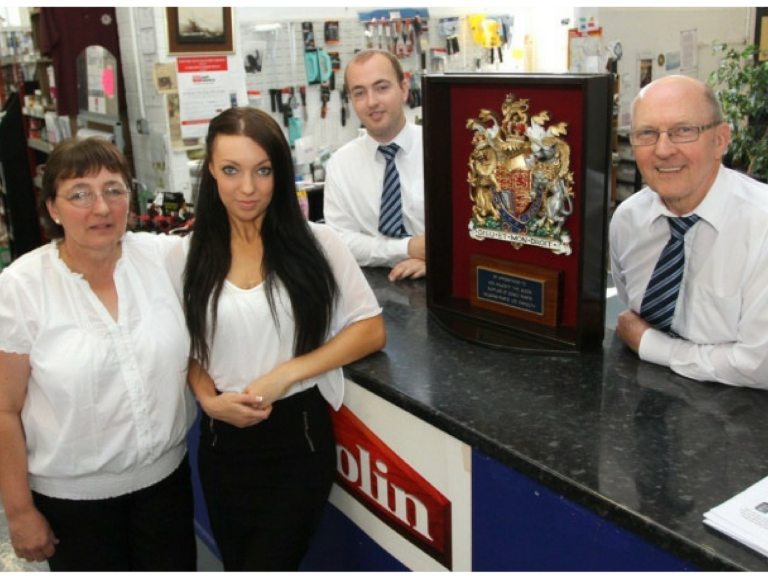 Wilsons Paints have been supplying the Palace for 8 years and were granted a Royal warrant in January 2011. Coach-Kote is not a varnish in the normal sense, it is a clear coach enamel. But that does not say enough about it. Coach-Kote is a 'long oil resin' based product which means it has a long molecular structure giving it much more durability, flexibility and toughness. With the addition of an 'ultraviolet filter' makes the product vastly superior to conventional varnishes, especially outdoors. Koach-Kote is a very versatile material frequently used on boats, furniture and garden furniture. Wilsons paints have been making Devon Wood Oil since the early 1990s. This product is unlike any of the commercial wood oils from the nationally known companies because Wilsons Paints have been using more expensive raw materials chosen for their Eco credentials, in particular pure turpentine instead of a petroleum solvent is been used. Also an ultra violet filter is been incorporated which an't be found in many other brands. Devon Oil is particularly good on furniture, doors and floors. On bare, previously untreated wood simply apply one generous coat, leave for 10 minutes to soak in and then wipe off any excess with a dry cloth. Why not check out this Painting and Decorating Supplies business in Exeter. Wilsons Paints is a 'thebestof' business member.